Let’s face it, doing chores can be a tough bite to swallow, especially when it comes to cleaning your furniture soiled with drops of wine, coffee or even your pet’s vomit. 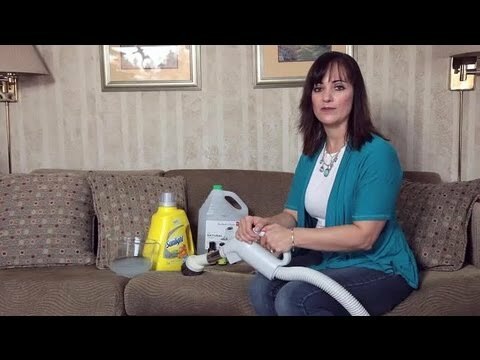 One of the main mistakes people tend to make is trying to clean their furniture by themselves instead of calling In a pro. The easiest way would definitely be to put that shiny leather sofa straight into the washing machine – but, unfortunately that’s not how it works. Just rubbing until the stain disappears is not an option either, since there’s always the possibility that the smell won’t come off like the stain did. Speaking of smells, one of the biggest troubles you can get yourself into is if you don’t watch what your pet is doing or, even worse where he’s ‘doing it’. Urine stains are not that big of a problem since they can easily be taken care of, but waiting too long or not noticing it, can cause some seriously unpleasant odors that no air freshener can take care of. Other than that, different types of materials of furniture can also be a cause of headaches. Caring for your leather or faux leather furniture sometimes isn’t enough to maintain that look it had the day you bought it. Biggest mistake you can make is trying to rinse the stain by rubbing it with towels sodden with water. Leather is prone to drying and cracking if exposed to direct sunlight while being wet. Regarding leather furniture, one thing you need to know is that leather has its own natural oil that is helping it, in a way, to keep that shiny look it has, even though leather looks better over the course of time, you should know that that natural oil will disappear over the certain period of time and it is up to you to help your leather furniture by using certain products specifically made to switch the role of that natural oil when it disappear. We will mention some of those products down this article.